It’s kind of bittersweet. The first series of One Punch Man was go damn good. From it’s ridiculous premise, to it’s atypical hero to its mesmerising animation right to it’s absolute banger of an opening song which still finds its way into my rotation now. After literal years of waiting for a season 2 to drop… why you be dis way? Coming right off the back of a phenomenal second season of Mob Psycho 100, it’s even more jarring to see the second season of the anime that got the writer of both properties into being a household name (Well, in my household at the very least) just nosedive. 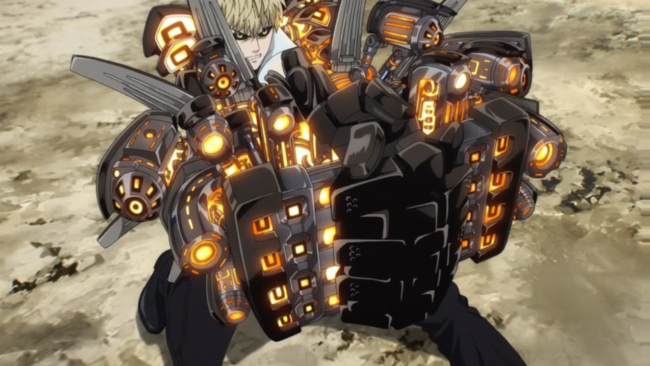 The fact that the first episode of this second series of One Punch Man was a letdown is, sadly, nothing surprising. The greater internet beast had already been in consensus for a few weeks that the new series didn’t appear to be coming close to meeting the sheer magnitude of quality that the first series bombarded us with. Being the glutton for punishment that I am though, as soon as the first episode popped up I had to see for myself what the issue was. And oh boy. It’s not utterly terrible by any metric, but in comparison to the original, it lacked… pretty much everything. Any punch, so to speak… Traditionally, the first episode of a new series will dress to impress, pour more animation resources into this episode than the average entry to onboard people during the busy early season. If this was supposed to be an outstanding example of what is to come, then I’m worried. A major fight scene in this first episode felt like background dressing rather than the intense clashes that every single fight in the first series seemed like. For a moment, let’s just take a step back and look at this anime as a whole, out of context. Essentially; One Punch Man is a spoof. A self-aware wink and a nod to both the Shonen and western superhero genre. Looking back, the thing that made that first series of One Punch Man such a phenomena came from its technical merits more than its concept. For sure, the concept went a long way towards making the show stand out as something new and different, but had it not been for the phenomenally detailed artwork, stunningly animated action sequences or sheer amount of style that exuded from that first series, then there is a real argument to be made that it wouldn’t have come close to the level of success that it did. One Punch Man was never an anime with any substance, not in the same way Mob Psycho has been. It’s always been about style; and it delivered that style with excess. Right away, watching season 2, that same goal to impress with excuses is totally absent. For comparison, see this image taken from season 1. The blend of traditional animation and CG used regularly made the show look stunning. During the extended break between seasons, I lost my patience and decided to catch up with the Manga. What the anime already seems to lack, the manga still embodies on every page. 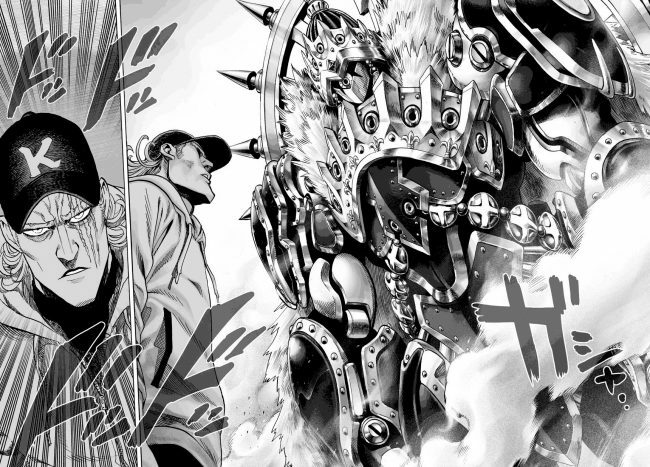 To this day, Yusuke Murata is doing utterly amazing things with the Manga. His hyper detailed art style is the staple of the series, and you can clearly see that the first season of the show took a lot of inspiration from him. Having already known the events that were coming up in the anime, I was left stunned at how flat and static everything looked. The hallmarks I’ve come to associate with this series are the weight and strength behind characters shining through on the page, even a static shot of a character portrays them as something to be feared. Nothing about this episode showed that. Like the anime, the manga alternates between a simplistic and hyper detailed art-style. But when it wants to make an impact, it bloody does it. 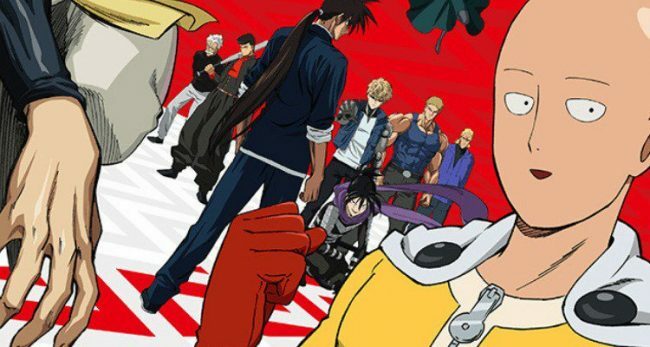 One Punch Man, as much have enjoyed it, thrives on how it looks. That’s the thing about spoof, unless you’re doing it from some platform of superiority, then it just comes across as sad. Look at the ‘Scary Movie’ series in comparison to something like Dragon Ball Z Abridged. There needs to be some degree of love involved, be it for the source material or the genre as a whole. Love enough that the makers want to do right by the thing they’re referencing, for one reason or another. And that feels like the big problem with One Punch Man’s second season so far; it simply feels like a product of obligation. It’s been so long since the first season, it doesn’t feel like anyone felt especially strongly about making this second series. At least anyone who in a position to throw funding around. I don’t know if things will improve as this series goes on, but looking at Saitama fighting the subterrainians in the dream sequence from the first episode of the first season compared this this… it just makes me want to pretend this anime isn’t happening. 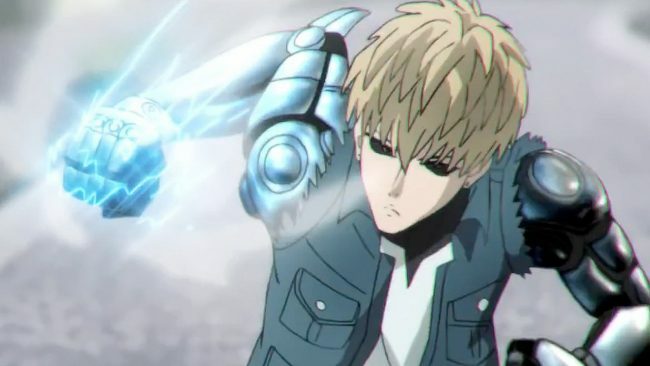 Posted on April 12, 2019 by WooderonPosted in Anime, My Thoughts on:Tagged genos, manga, one, one punch man, saitama, season 2, spoof, Yusuke Murata.